There’s nothing like fresh homemade bread! With automatic Bread Machines almost everyone has time to make homemade bread. Really! Making bread requires fifteen minutes of your time and a decent bread maker. You can make freshly baked bread in your kitchen with the touch of a button. The only thing you really need to do is put the ingredients in the machine's baking pan and press a button (or two). Bread makers are one of the finest kitchen inventions. They will save time and they will increase your well-being through good quality food (no preservatives). Even the best quality bread maker will pay-off in about a year if you bake one loaf of bread every week. They save on the cost of store bought bread and the bread machine uses less energy than the standard oven. How do you use an automatic bread maker? 1. Read the directions carefully (this is the hard part). 2. Measure all of the ingredients accurately. 3. Put all of the ingredients in the bread pan. Liquids go in first and yeast goes in last. 4. Put the bread pan in the machine and program the appropriate cycle. 5. Use oven mitts to remove the bread pan from a hot bread maker. 6. Shake the bread pan upside down to release the bread. 7. Let the bread cool before slicing. What do you need to consider when you are shopping for a bread machine? 1. Make sure you have enough storage space for a bread maker. 2. 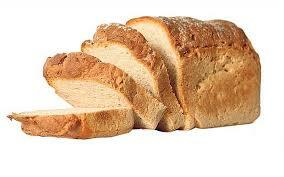 Choose the capacity of the bread maker based on the amount of bread your family eats. Most produce 1, 1 1/2 or 2 pound loaves. 3. Select a bread maker with a delay timer if you want bread ready for dinner or fresh for breakfast. 4. If you just want to make dough (for pizza or cinnamon rolls), choose a bread maker that will make dough but not cook it. 5. Choose a bread maker that signals you to add ingredients during the bread making process. This is a good feature if you need to add fruits or nuts. 6. Pick a bread maker with a "keep warm" function if you're not likely to be around when the bread is done. However, don't put too much stock in the "keep warm" feature because bread that sits for a considerable amount of time after baking may get soft or soggy. 7. Check for other special features, such as crust control, French bread or whole wheat bread cycles, or cycles for fruit or nut breads. 8. Study the warranty and service options. Please remember no matter how much bread your family consumes now, when you have hot bread coming out of a bread maker, consumption may increase considerably. Take this into account when choosing the size loaf your bread maker will produce. Some bread makers make round loaves, some make elongated loaves in a bucket-style container and some make horizontal loaves. Several companies now have bread mixes made especially for bread makers. They're available at grocery stores and online. The Zojirushi BBCCX20 Home Bread Maker is a very good bread machine. It has pre-programmed cycles for basic, basic wheat, quick wheat, quick basic, dough, quick dough, jam, cake and sandwich. On top of that, if you experiment with your machine and find an improvement to one of the pre-programmed cycles, you can create your own program and store it to the memory of the machine. The Zojirushi bread maker is equipped with two paddles (the levers that rotate and knead the dough). This can be advantageous for some special dough like heavy whole wheat dough or for fruit cakes. The form of the loaf is the classic horizontal loaf that you would expect from a handmade (in the oven) or professional loaf. It makes a good impression on the table as opposed to the square, tall loaf from some other machines. For the baking of the crust, you have the choice between light, medium, and dark. These settings are effective for the Zojirushi bread machine and you will notice the difference between the settings. The crust has the tendency to be light on the majority of other bread makers, even if they have different settings. An alternative to the Zojirushi (which is expensive) is the Sunbeam 5891. It is a 600-watt programmable bread maker that makes 1-1/2- or 2-pound loaves of bread; it has 12 cooking functions; 3 shade (crust) selections; a 13-hour delay bake; LED display; and a touch-control panel. The Sunbeam has a single paddle which works well in most cases. Only for very heavy dough is it advantageous to have the two paddles. Also the mixing of ingredients during the dough making cycle is performed more reliably with 2 paddles. This machine will most likely satisfy most people’s needs. It has a reasonable price and most people report having very reliable results from the machine. 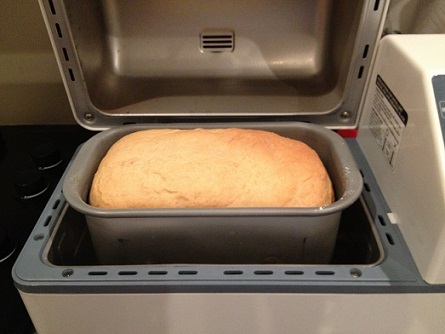 One of the BEST bread machines is the Panasonic SD-YD250 Automatic Bread Maker. 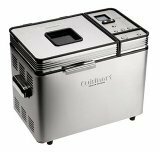 Another bread machine to consider is the Cuisinart CBK-200 2-Pound Convection Automatic Bread Maker. It's just okay. The Cuisinart and the Panasonic are about half the cost of the Zojirushi. The Sunbeam is the least expensive, but currently it can only be shipped within the U.S.
Every bread maker comes with instructions and recipes. Most of the recipes I have seen are good to okay. Thanks for visiting! If you are gluten free… yes, you can also use these machines to make your own bread!